Lately I’ve really been appreciating John Lennon’s genius in his lyrics in his later musical career. 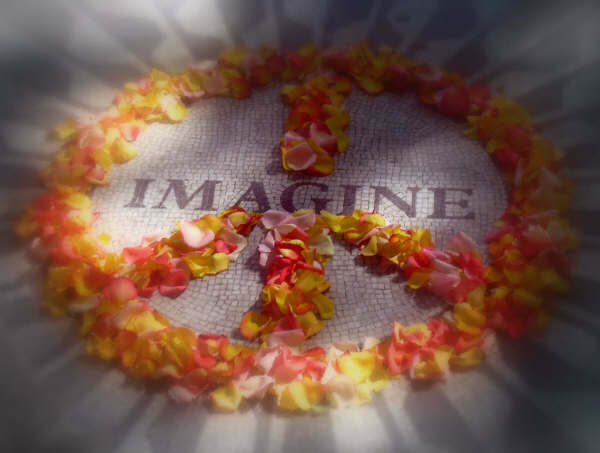 The song imagine is one of my absolute favorites that outlines some amazing truths to creating a world of peace. And how it’s easy if we try! Such an amazing song! So much truth and positivity in every line. If we truly accept the things that are being said here we can change the world. It’s about releasing our ego thinking and limiting thoughts that are holding us back. We need to take back our power, speak up when we don’t agree with the way things are going. We have to resist control and be free. We are stronger than what we believe. Becoming educated and searching ourselves for insight is the first step. We can make such an amazing difference in this world. The fact that we can come together like this is proof of such amazing advantages we have. There are a lot of things “not right” in the world but there are so many endless solutions to the problems ego thinking has created. There is such an amazing growing energy of positivity and love in this world! So many of us are realizing that the things we thought were supposed to make us happy aren’t. So many are realizing that there has to be another way than what we’ve been doing. In planetary terms, it will have to change regardless because it doesn’t have a choice, we either move towards respect and sustainability for our beautiful Earth or it will die and if that happens there’s not a lot of options. But when I think about the negatives in this world it’s just an opportunity to realize what needs to be done. It gives us a chance to see the positive and not identify with the negative. It serves as relativity and only as such. It gives us merely an option but not the only way. What has been happening in our world doesn’t have to be the world for our children and their children. We can change it and it starts with proper education. It is so important that we continue to help ourselves and others learn to find happiness and contentment within us and not outside. It is so important that we educate our children, friends, and family on how to identify ego thinking and thus rid our lives of unnecessary suffering. By doing this we will spread truth faster than ever and our world will become a world full of hope the more we come together. If we remember that it’s about what’s going on withIN us and accepting our responsibility in all our interactions instead of blaming “them” we will end wars, we will end struggle, we will eliminate violence, we will begin to shift the energy of the world towards a frequency of love and optimism. We can give love to each other more openly and without judgment and in fact release all judgment. We can begin to see the illusions for what they are… Illusions! We can transcend these errors of thinking and move towards a more Christ/Buddha consciousness. It really isn’t hard. So many people tend to resist this idea saying that it’s not that easy but it really is. Just like happiness is just a state of mind that can be created and changed no matter what circumstances, so can all issues of the world. All problems of the world are just a result of ego thinking causing suffering by feeding us thoughts of the illusion of separation and victimization. And due to ignorance we’ve been accepting these thoughts as truth when they are not. As we come together and enjoy each others’ company we will see how easy it really is as two or more of us come together for a common cause of loving ourselves and the world. As we combine our loving energy it is contagious and lifts all involved up to new heights. We lift each other in ways we could never guess as we spend more time consciously living and loving life together. As we create a loving environment for each other we emit positive energy of untold amounts to the universe thus attracting it back to ourselves and giving it to others. Just like Lennon said, it’s easy if you try. So I say.. Let us try! Spend time with a friend, family member, stranger if you have to, or whomever and focus on being only positive. Focus on all the good things going on in whatever the situation is. Listen to positive uplifting music together, dance, sing, enjoy life! Laugh and take life less seriously, enjoy it for what it is, an amazing journey of creation and joy! This will be even more effective when both are conscious and are contributing their positivity. I know from my own experience it is an amazing feeling being in an environment of unconditional love and support. It is so important to have people in our lives that can offer this for us. If you don’t have someone in your life to support you than as I mentioned before in the previous post find someone it’s not as hard as you think. We have to let go of fear and other limiting beliefs that are holding us back. Ask yourself if the thoughts holding you back are serving you? Is it helping you get what you want? Identify them as such so that you can let them go and move forward. For now, imagine my friends, imagine a world of love and peace, it’s easy if you try. abundance, courage, creative power, ego, enlightenment, Evolution of Humanity, gratitude, guidance, happiness, Hope, Inspiration, joy, Life, love, Mindful Loving, Peace, Personal Growth, truth. Bookmark. It is a very nice column. And by the way ,Where do you get the picture John is playing piano. I wanna use the picture in my blog , Can I use it? Best regards From AKIHIRO OSAKI to you. Nice to meet you as well, thank you for your kind words. The picture is not mine, I got it from google, all rights are reserved to the owner. 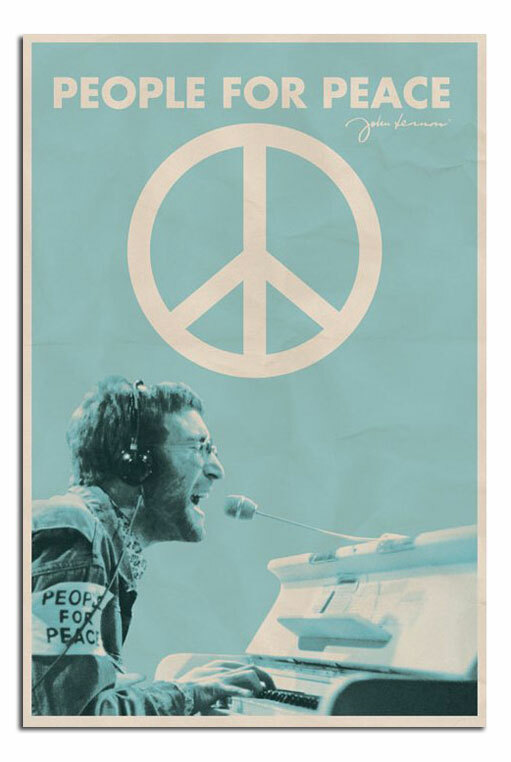 Great article – I love John Lennon and feel really close to his beautiful spirit. May 2013 be a Year for Peace all over the Planet! Thank you for your regard.